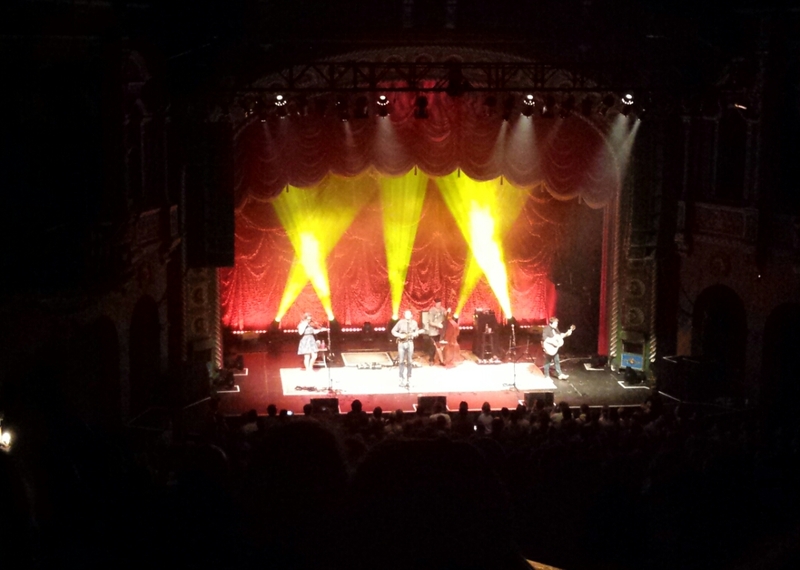 Have You Been to Nickel Creek? Tonight I am writing about a concert instead of being AT at concert. No it is not the same. No it doesn’t make up for it. I was going to go see the symphony perform live (and free!) in the park, but we had crazy storms this evening and for some reason I still haven’t purchased a lawn/folding chair and I really didn’t want to sit on my blanket on the sopping wet ground… so lots of excuses later, I ended up not going. Oh well. I saw the symphony earlier this year and that is enough to hold me over till the next time, right? Maybe? Anyway, I need to give a little background before I start talking about the most recent concert that I went to. My friend Allison is awesome. She was the first person that I met in college, she is my favorite road trip buddy, and she and I have very similar taste in music. She has introduced me to some of my very favorite singers and musical groups and Nickel Creek is one of those groups. They have a really fun folksy, bluegrassy sound (if you love the mandolin you will love them) and their 3 part harmonies make every song really easy to sing along to. Allison and I recently took a mini road trip to Kansas City to see them perform and it was awesome! 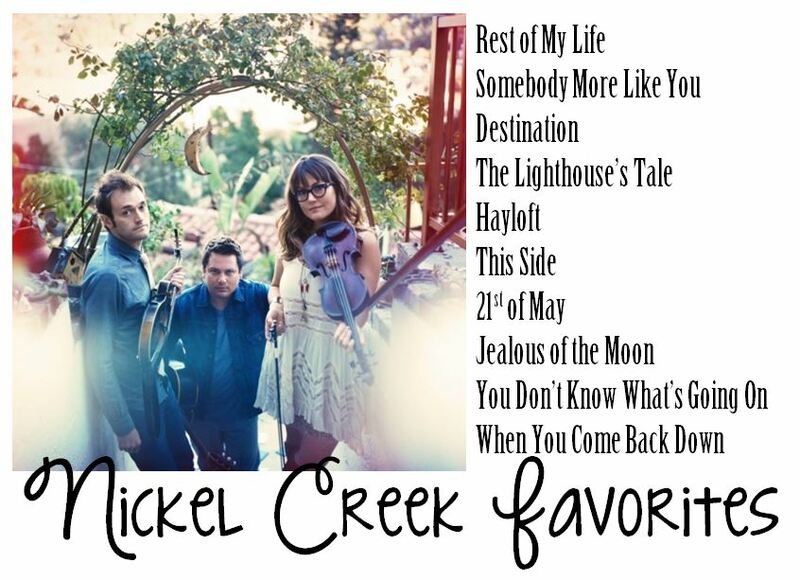 Nickel Creek released a new CD this last year (so good!) and went on this tour to celebrate their reunion AND 25 years of making music together. Wow! In case you haven’t listened to them before, I have compiled a list of my personal favorites. Enjoy! On a completely unrelated side note, a transformer blew today at work and the power went out and we got to leave early! Hooray! 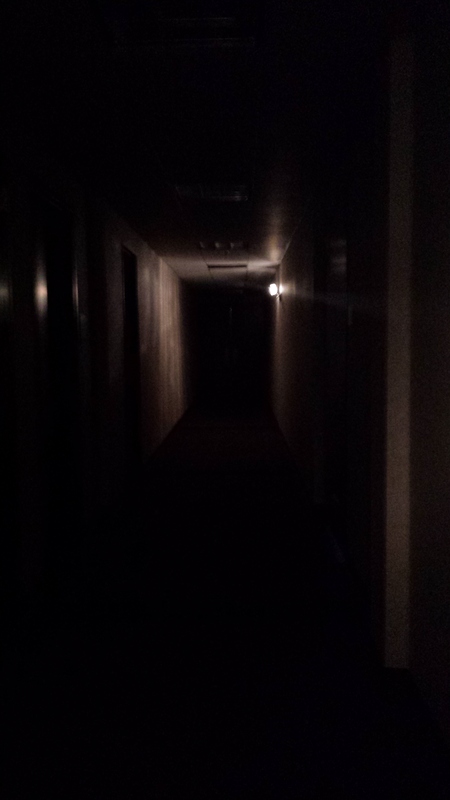 The power went out while I was eating a piece of ice cream cake (don’t worry, I managed to finish the cake in complete darkness) and it was kind of fun just sitting around and talking with my coworkers in the dark for a few minutes! But I work in a basement. With no windows or outside light. It was seriously dark. And kind of creepy. That is all.